Thank you for visiting Rin’s Bridal, one of the Bay Area’s leading bridal salons. We’ve been located in the heart of the Peninsula for over 30 years. Each season, Rin curates a variety of designers and their fashion lines in search of unique wedding gowns. We offer a vast range of gowns to select from to ensure a diverse collection; our flagship features include classical, formal, semi-formal, and designer and couture. Add us on facebook to view/attend our periodic trunk-shows! Our consultants are some of the best in the industry and are waiting to assist you find unsurpassed styles for your important day. Rin’s experienced wedding consultants are devoted to providing brides and their bridal party throughout the Bay Area with attentive and professional service. We look forward to meeting you! Many moons ago, our fearless leader, Rin moved to the states from Thailand and opened her own bridal shop. Rin always knew she wanted to own her own business and overcame the struggles of learning English, immigration, being a female entrepreneur–all while wearing sparkling pumps. 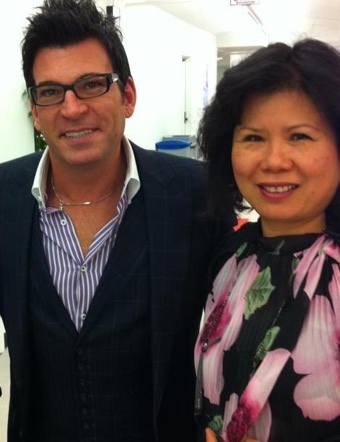 Decades of experience have led Rin to develop a wealth of knowledge in today’s bridal industry. Rin’s bridal has weathered 30 plus years of economic peaks and pits, the pouf sleeves of the 80s and the basque-waisted 90s. Rin has created a premiere bridal salon here in the Bay Area, serving thousands of satisfied brides. Rin’s passion and dedication to making others fabulous is the driving force behind her work ethos and she could not imagine doing anything else. When she isn’t doing the mirage of things that a business owner does, Rin can be found volunteering for her local Buddhist temple, contributing to humanitarianism efforts across Thailand, or spending time with her husband and two sons.